Two foundations at the NDSM (Stichting NDSM-werf and Stichting Kinetisch Noord) join forces to launch a new initiative: the NDSM Open Call. Artists, crafts(wo)men and creatives who have a work space at the NDSM (East) are invited to submit a project plan for a new work to be presented at the NDSM this autumn. Proposals must be submitted before 15 July 2018, 12pm. A board will select from the submissions which projects will receive a financial contribution. The terrain of the former NDSM Shipyard is a place for art, culture and creative ingenuity. This can be attributed to the very diverse and active artist community. Circa 400 artists and other makers have a studio in either the NDSM-loods (Art City), beneath one of the slipways, at Treehouse or in another corner of the NDSM East area. The charismatic and vast terrain is also a source of inspiration for new art projects. Artistic initiatives stemming from this fertile ground often have a keen eye for urban undercurrents and are therefore very valuable for the identity of the area. The NDSM Open Call is intended to support these initiatives that sprout from the so-called NDSM ‘seedbed’. Stichting NDSM-werf and Stichting Kinetisch Noord together make available a maximum of € 35.000 for the realisation of cultural projects. The NDSM Open Call is exclusively open to artists and other makers who have a verifiable work space in the NDSM East area. There will be no privileging of type of art form, media, discipline, specialism, interest or materials. Also the type of project is free of choice: anything goes. What is important is that the projects be realised at the NDSM terrain and be visible for an audience. Each proposal must be accompanied by a budget, and a plan for financial coverage. The budget should offer insight in the total costs of the project; if possible with quotations from suppliers. In the plan for financial coverage it should be stated how much is covered through the NDSM Open Call, through the participant’s own investment and through funding by a third party. In case of the latter, please indicate whether an amount has already been pledged and provide proof, such as a letter of intent, if possible. Additional funding by a third party or own investments is not required to receive a grant. There is no minimum or maximum amount that can be applied for. During selection the programme board will take the total of available funds for the NDSM Open Call into consideration. The projects that will be granted will be preferably presented in the second week of October 2018 during a cultural manifestation at the NDSM (this is also the weekend of NDSM OPEN). In case this is impossible, an alternative target date for presentation must be proposed. – Proposals can be in English or Dutch. The programme board will announce the selected projects on 15 August 2018. This will be done on the website ndsm.nl and on social media. The projects will be presented during a NDSM manifestation mid-October 2018. For questions please contact Kim Ragetli (operations manager Stichting Kinetisch Noord) via kim@ndsmloods.nl or Rieke Vos (curator Stichting NDSM-werf) via rieke.vos@ndsm.nl. 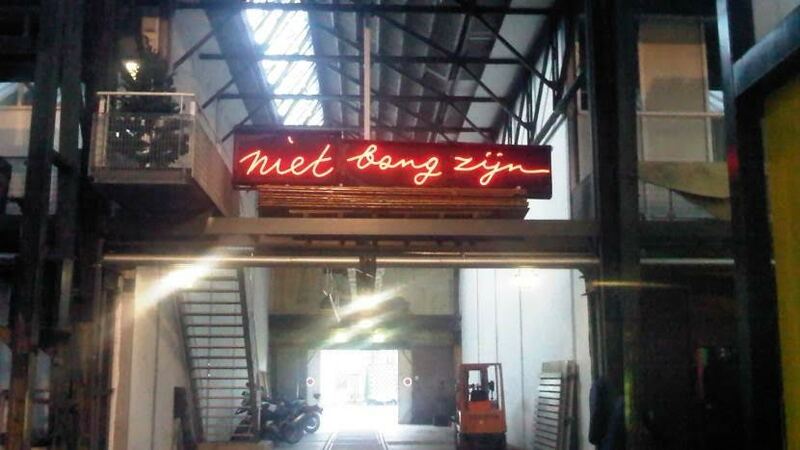 A few links to art projects made by the NDSM-community.